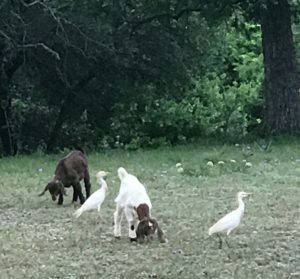 Boot City sent me some photos last week of Cattle Egrets with our grazing goats. He knows that I love Egrets. The Cattle Egret, or Bubulcus ibis, is a species of heron that has evolved to a life adapted to following herds of grazing animals and eating the bugs that accompany those grazing animals. You know, cows. Or in our case, goats and horses. I do love a symbiotic relationship when I see one. 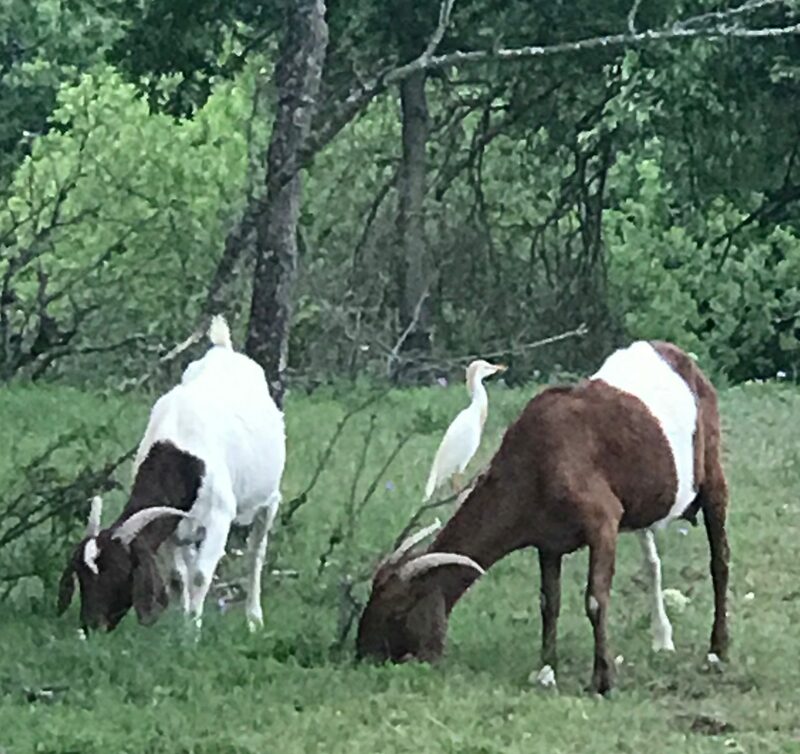 The bugs are always bad in Texas so it makes me feel better when I see the goats or horses being followed by some Egrets because I know they are at least helping reduce the bug irritation to the goats or horses! 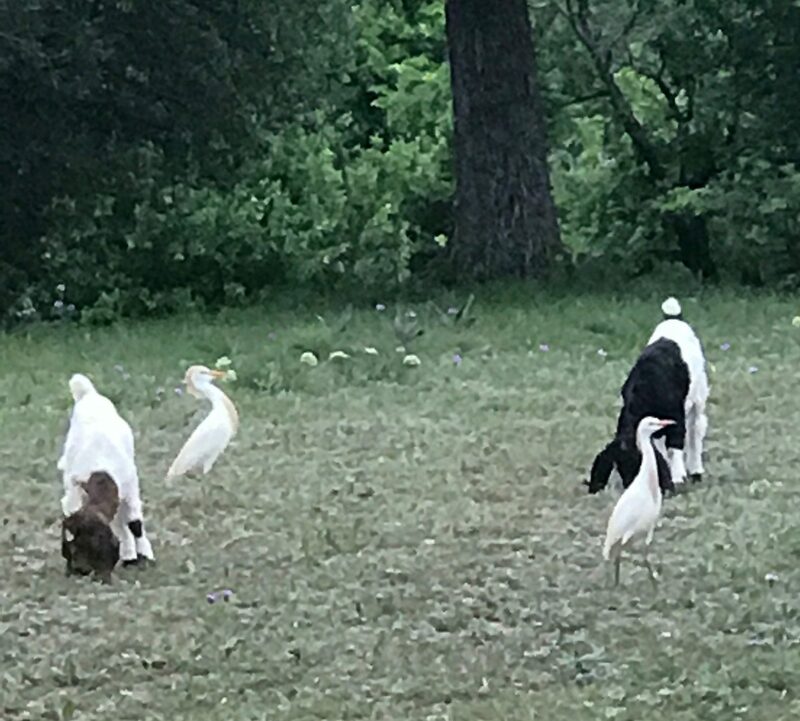 As the larger mammal moves around in the grass, they inevitably disturb some bugs and that is the meal for the Egrets. Sometimes the bird will even land on an animal (Jaguar) and eat the bugs right off them! I have witnessed this a few times, but never snapped a photo. A little research on Wikipedia indicates these birds migrated to the U.S. naturally (they flew here, they didn’t come on a boat) as the herds of cattle became larger and more established, but originate from Asia, Africa and Europe. It isn’t often you read about a species being introduced that doesn’t wreak havoc on it’s new home; e.g. rabbits in Australia. Good on the Egret! On other continents the follow different large mammals. In Africa they follow Cape buffalo, wildebeasts, waterbucks and zebras. Clearly the African birds have a more exotic partnership. We are just glad to have them back this spring. Hopefully they will stay a long while! They love hanging out with Max and Lexi! Just Max and Lexi? What about Sundance, Artie and whats-his-name with the white socks?! I am obsessed with egrets and herons. 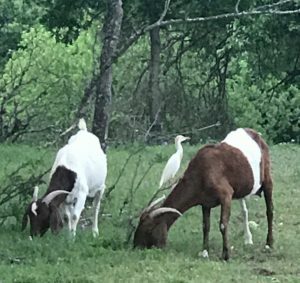 I don’t know much about them, but it makes me so happy to see them out in the pasture with the horses and goats! For one summer there was an egret that stayed with my old horse Jaguar nearly every day!